Have you been curious about how acupuncture may or may not be able to benefit you? Please give me a call! I'm happy to discuss any questions or concerns you may have about Traditional Chinese Medicine and suggest an appropriate course of treatment for you personally. The first appointment you schedule takes about 90 minutes. We go over your complete health history, outline the concerns for which you are seeking treatment, provide a Chinese Medical diagnostic assessment, perform a full acupuncture treatment, and discuss a treatment strategy that will be most appropriate for your situation. You will leave feeling cared for and with a clear plan for your health. Regular acupuncture treatments last around 60 minutes. 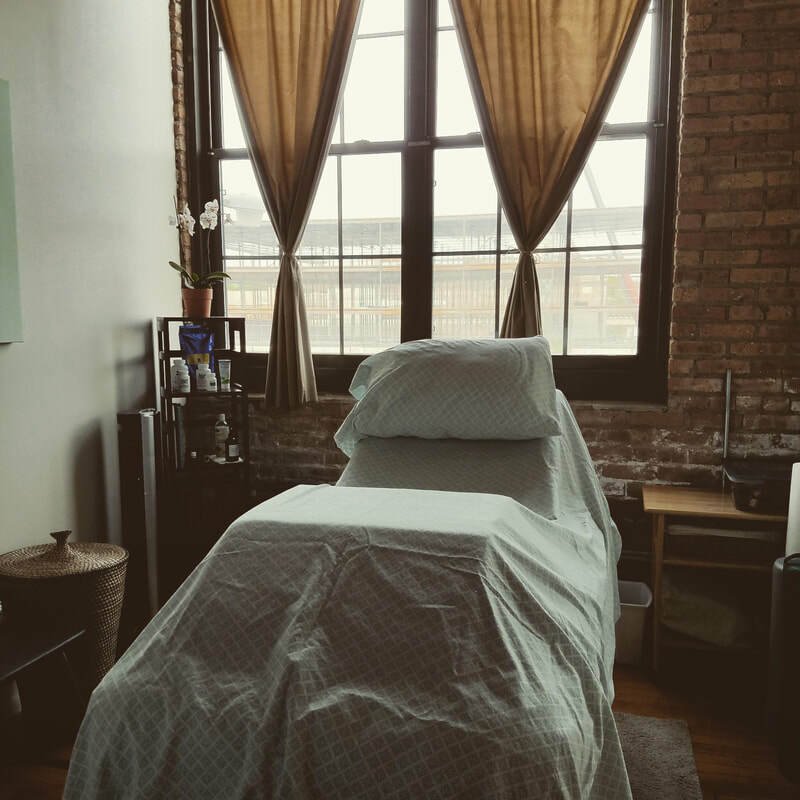 You will talk about how you are feeling, report any changes you've noticed since your previous appointment and have a full acupuncture session, which may or may not include auxiliary techniques such as cupping, gua sha or moxibustion. You may also leave with dietary or lifestyle suggestions to help improve your health goals. On occasion, Ashlie will suggest a traditional herbal formula to assist in your treatment strategy. Herbal formulas are used in combination with acupuncture to continue the work of the treatments on a daily basis. Chinese herbal formulas can be much better at treating certain concerns if acupuncture treatments are infrequent. 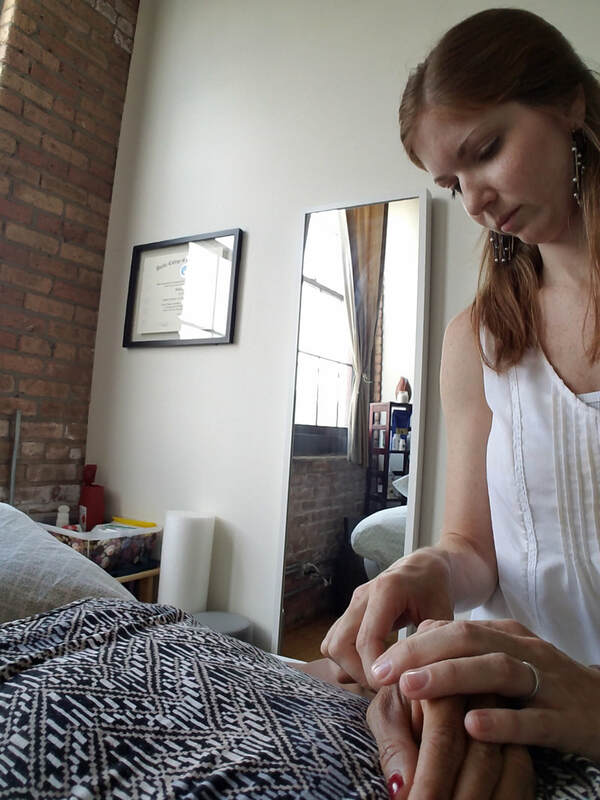 Towards the end of one's pregnancy, acupuncture can be a great resource to help get the body ready for the immense work of labor. The less stagnation and discomfort you are feeling in those last weeks, the better your body will adapt to the major changes of labor and birth. The same thing goes for immediately after giving birth. Postpartum support in healing and adapting to your new world of motherhood is greatly accentuated by balancing acupuncture treatments. 2 prenatal treatments, including a new patient treatment and one for labor support, ideally used in the last 4-6 weeks prior to birth. 1 postpartum treatment, which can be scheduled in the comfort of your own home within the first 4 weeks after birth, or in the office. A small goody bag of random birth and postpartum helpful items. If you find yourself on bed rest during your pregnancy, but would still like to receive acupuncture to relieve the common discomforts of the last trimester, and to prepare your body for the task of labor, I can come to you. Also, after birth, I encourage my patients to heal and recover in their own home during the traditional "laying in period". I want to help you make this lovely, surreal, comforting time while you're learning about your new little one the best it can be. I bring my supplies to your home for an acupuncture treatment in the comfort of your own bed (or couch). These treatments can promote postpartum healing, successful breastfeeding, and emotional support. In-home treatments are available to those living within a reasonable distance of my office in Chicago. If you know someone who has been interested in trying acupuncture or who is planning on having acupuncture as part of their birth and postpartum plan, you can gift them a dollar amount to be used for any of the above services. Just click the link in the box below!